Moon bears Sam and Simon arrived back on Vietnam's mainland today after four years on Vietnam's remote Ba Mun island - just north of iconic tourist spot Halong Bay. The rescue was described by Animals Asia as the most difficult they would ever perform - and was almost called off in the early hours of the morning when a storm engulfed the Bai Tu Long archipelago where Ba Mun is situated. The port authorities allowed the rescue to continue after skies cleared at around 9 a.m.
"Logistically, there was no room for leeway as we were at the mercy of both the weather and the tides. Fortunately the skies cleared in time for us to make it out to the island but the delay meant a race against time to get away before the tide went out." After two hours at sea a rescue team, including two veterinarians and a vet nurse, arrived at Ba Mun and began health checks on the moon bears. In addition to the dangerous conditions, the rescue was made more precarious due to the ill health of male bear Simon. Having spent his entire life in a cage, Simon was suffering from a litany of issues. His movement was severely restricted, he had open wounds on his back, scarring on his head, damaged feet and potential eye problems. 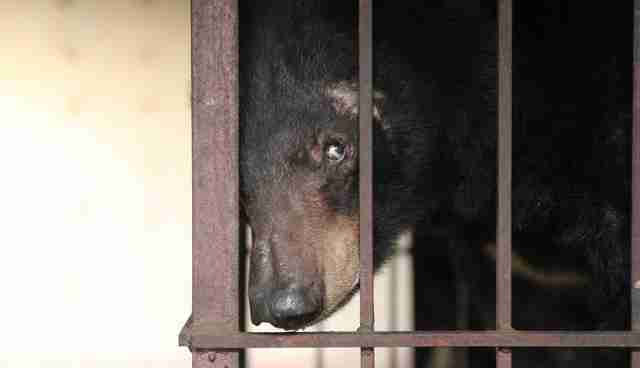 "My heart broke when I saw the awful condition of these two bears. Simon is a bear you can't help but fall in love with, but his condition is just pitiful. He can barely stand and his teeth were literally falling out of his head. 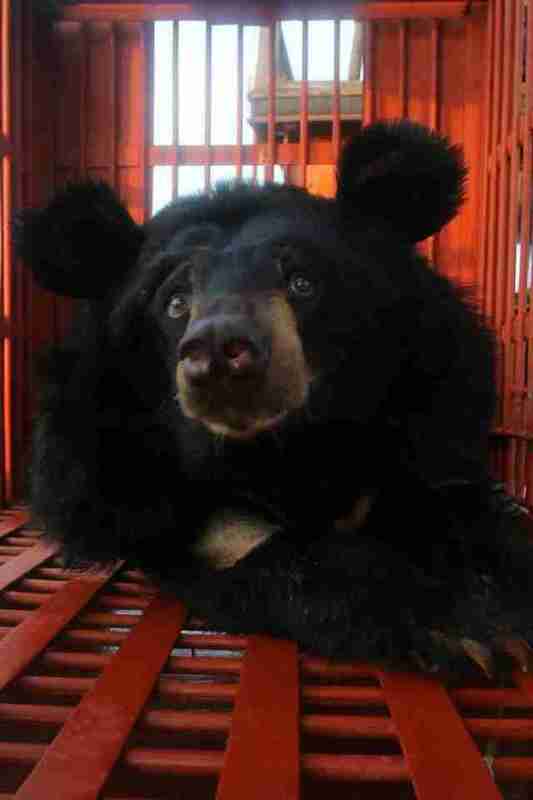 He's a broken bear that we have to get back to the sanctuary as quickly as possible. There are no guarantees for an animal in his condition." With Simon's survival foremost in mind, the team opted to carefully set a lower anesthetic dose for a quick health check before loading the bear onto the waiting fishing barge. In contrast to Simon's lethargy, female bear Sam was alert and agitated. Vets discovered her to be suffering from painful arthritis which will be an ongoing issue for her carers. "Sedating large animals without the safety of sanctuary equipment is never straightforward which is why safety concerns caused us to conduct the health checks as quickly as possible. Despite the speed, we were able to find out quite a lot about the conditions of both bears. Sam's arthritis is something that may be causing significant pain which we can stop with medication. We quickly removed Simon's worst teeth which were very loose, which will be more comfortable for him, but his conditions are numerous so we'll be relieved once he's safely back at the sanctuary." 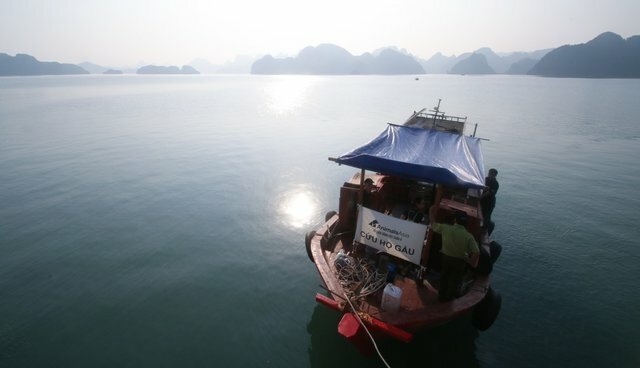 Fair weather allowed the team to make it back to Halong Bay before nightfall where a crane winched the bears and their cages off the boat and onto a waiting truck. 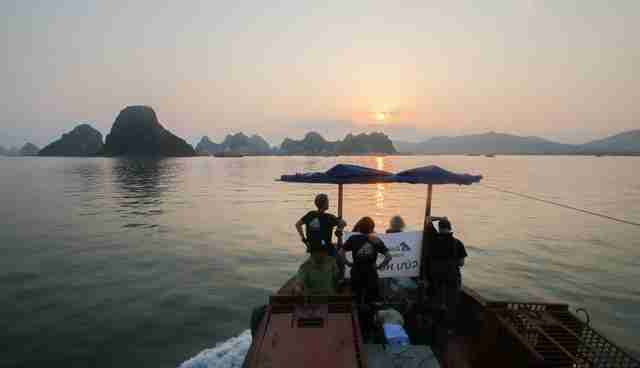 The team will spend Tuesday night in Halong City and expect to arrive back at Animals Asia's Vietnam Bear Rescue Centre late afternoon Wednesday. The rescue of Sam and Simon - nicknamed in memory of Animals Asia supporter Sam Simon who died of cancer earlier this year - marks the first rescue to follow Animals Asia's successful campaign to Save the Halong Bay Bears. 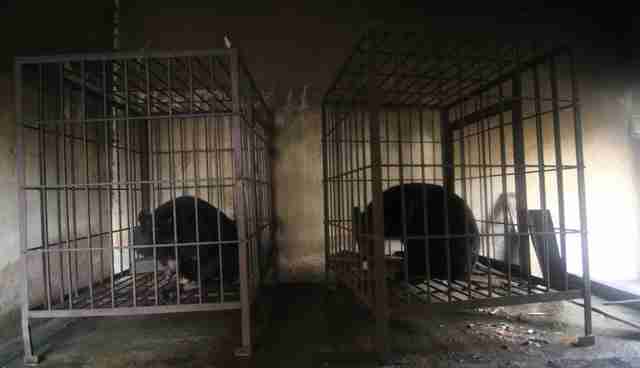 Animals Asia expect to complete the rescue of the remaining 36 captive moon bears in Quang Ninh - making the province bear bile free - by the end of June.